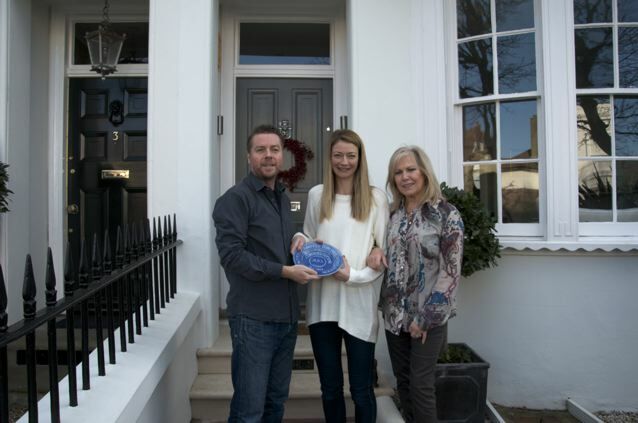 The MCHA Conservation Award Plate, designed by artist Jill Pryke, was won by Jayne and Simeon Adams seen here with MCHA trustee and award organiser Gabi Tubbs. 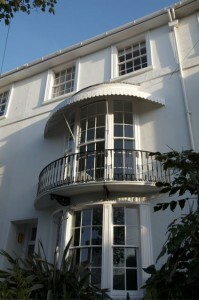 Extensive renovations were carried out over several years to this grade two listed house in Clifton Road culminating in the careful restoration of the canopy above the first floor bow fronted window. Jayne and Simeon were particularly pleased with the painstaking efforts of their builder Mark Draper of Portslade.